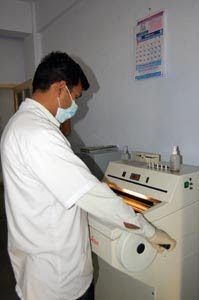 Department of Pathology was established in July 1984 which also happens to be the year of establishment of Rural Medical College. Since then the Department has evolved from seed to present tree. Today the Department offers all the contemporary services available in modern science. Department of pathology with buildup area of more than 1110sqmt. 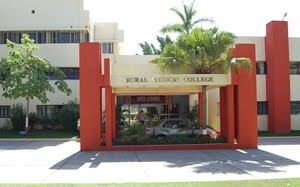 It is situated at Rural Medical College and Pravara Rural Hospital, Loni. The department is involved in teaching, diagnostic, Transfusion Medicine and research activities. 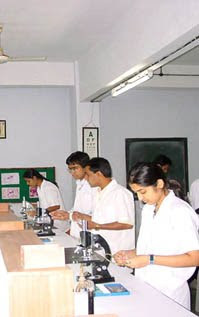 The department is involved in teaching Pathology to the students of various undergraduate and postgraduate courses viz. (MBBS, BDS, DMLT,MD,DCP) The department is having a qualified and highly experienced and dedicated staff as per the norms of Medical Council of India. At present the department has 5 Professors, 2 Associate Professors, 4 Assistant Professors, 6 Tutors along with 36 medical technologists. 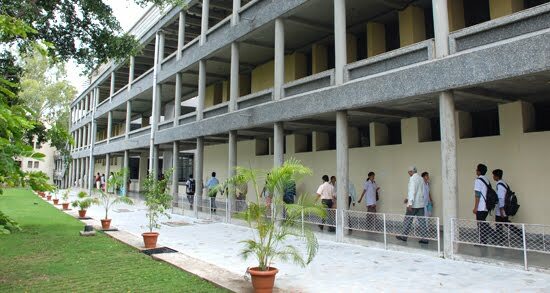 Department of microbiology with over 700 Sq meter build up is situated at Rural Medical College & Pravara Rural hospital (CCL). Dept. was established in July, 1984, Recognized by MCI for M.B, B.S in 1988.Recognized by MCI for M.D in 2001. The Dept conducts various courses- MD, PhD, MBBS, BDS, DMLT, BPTh & B.Sc Nursing. The Dept. is involved in teaching, diagnostic & research activities. 1. The activities of the department are directed towards imparting quality education and training to future health-care professionals in Microbiology with a view to ensure a sound foundation and to instill knowledge and attitude necessary for lifelong learning. 2. The department strives to provide timely and accurate support where precise and efficient diagnosis can make a difference in patient care and management. 4. Emphasis is placed on advancement in the area of scientific research so that we will march with the times. 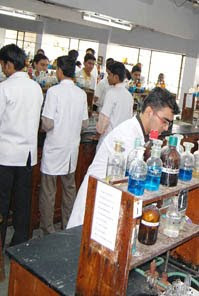 Department of Biochemistry will strive for achieving excellence in fields of medical education and clinical laboratory services providing holistic education inclusive of up to date knowledge and research in the field of Biochemistry, compassion and courtesy for patients, with an ultimate aim to fulfill the mission of this University. Department of Biochemistry with buildup area of more than 6400 sq feet is situated at Rural Medical College and Pravara Rural Hospital, Loni. The department is involved in teaching, diagnostic and research activities. 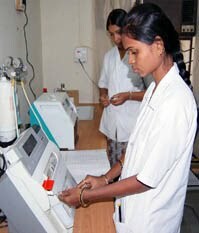 The department is involved in teaching Medical Biochemistry the students of various courses viz. (MBBS, BDS, DMLT, BPTh, BSc (Nursing), and Post Basic Nursing). The goal of teaching biochemistry to undergraduate students is to make them understand the scientific basis of the life processes at the molecular level and to orient them towards the application of the knowledge acquired in solving clinical problems. • To serve rural/ poor people. • To promote value based subject education and research driven health care. 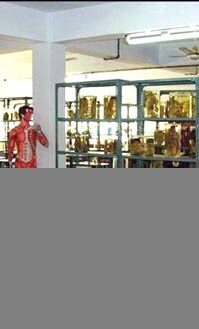 Physiology is one of the important subjects of all medical branches. Physiology is the, “Science of functions of living 'systems.' Human physiology deals with functions of Human body, trying to explain changes occurring in human body, during human life. Without knowledge of human physiology, various intricate and corplexities of human body cannot be understand during healthy and disease conditions. The sound knowledge of the subject helps students, to correlate between normal functioning of human body and changes occurring in functions during diseases. 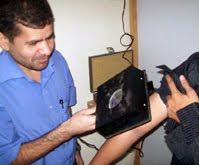 In clinical practice this helps to understand diagnosis and planning of the treatment. This analytical skills help to students to develop themselves into skilled doctors. The overall mission of department is to lay strong foundation for medical education with emphasis on clinically relevant course material so as to address a crucial need for patient care and support and medical research in basic sciences. 1. To establish contemporary syllabus in the subject of anatomy for First year MBBS students and students undergoing postgraduate training in the subject of Anatomy within next 3 years. 2. To establish a fresh tissue dissection laboratory in collaboration with other clinical departments in next five years. 3. To develop and lay the foundation of a contemporary Life Sciences Museum dedicated to in this part Rural India in next 5 years. Few baby steps in this direction are: - Installation of a Pro section Projection System (PPS) with a dedicated audio system in the dissection hall of the department. 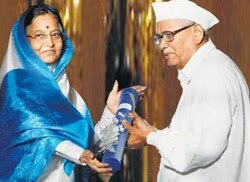 The objective of the Institute is to lay a foundation and create advanced academic and research environment for medical and other health science manpower that would identify and deal effectively with peculiar problems faced in implementing a comprehensive rural health care package in the country. Appropriate, relevant and up-to-date knowledge and skills are made available to grass roots level community members to post doctoral research workers in medical and health sciences. The School of Bioscience Management was established at the Nashik Campus in the year 2006. We have been pioneer in the Introduction of MBA Bioscience Programme in India. Global biotechnology industry is playing a major role in creating a new health economy in which bio tech. pharmaceutical, and medical device companies are converging with health care providers. This network of health sciences innovation is aimed at saving lives while responding to pressures from health care payers to contain costs. At present, India's biotech/pharmacy industries can at the best be described as being in its infancy. Nevertheless, they are going to grow young and vibrant in the coming 5-10 years. The Dr Reddy's, Ranbaxy's, Wockhardt and Reliance are some of the leading industries that have started to make their presence felt globally. However, these vibrant industries are in need of human resource that is uniquely skilled. They need to be strategic decision makers - for which they require scientific and technical competency, blended with the ability to manage highly complex, regulated and ethically sensitive commercial environment. 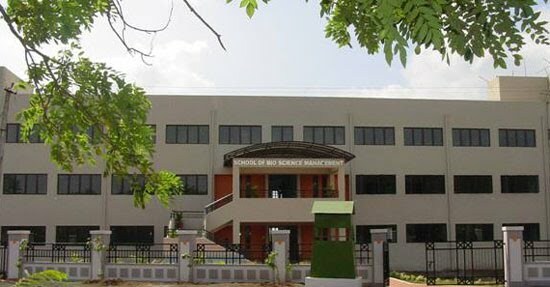 The School Bioscience Management will be involved in educating and training the decision makers of tomorrow - by offering an interdisciplinary MBA program in bioscience management. To impart the much needed physiotherapy and occupational therapy training a College of Physiotherapy was established in 1997. The College offers an undergraduate program in Physiotherapy (B.Ph.T) which was affiliated to Maharashtra University of Health Sciences, Nashik till it became a constituent unit of this University. All India Physiotherapists Association recognizes the college. Practical training to the students is imparted at state of art Physiotherapy and Rehabilitation center attached to the Physiotherapy College.